The 2018 gubernatorial election was between the incumbent, Republican Greg Abbott, and challengers Democrat Lupe Valdez and Libertarian Mark Jay Tippets. Abbott received 55.5 percent of the vote, while Valdez received 42.8 percent. This means Abbott won by a 12.7 precent margin. 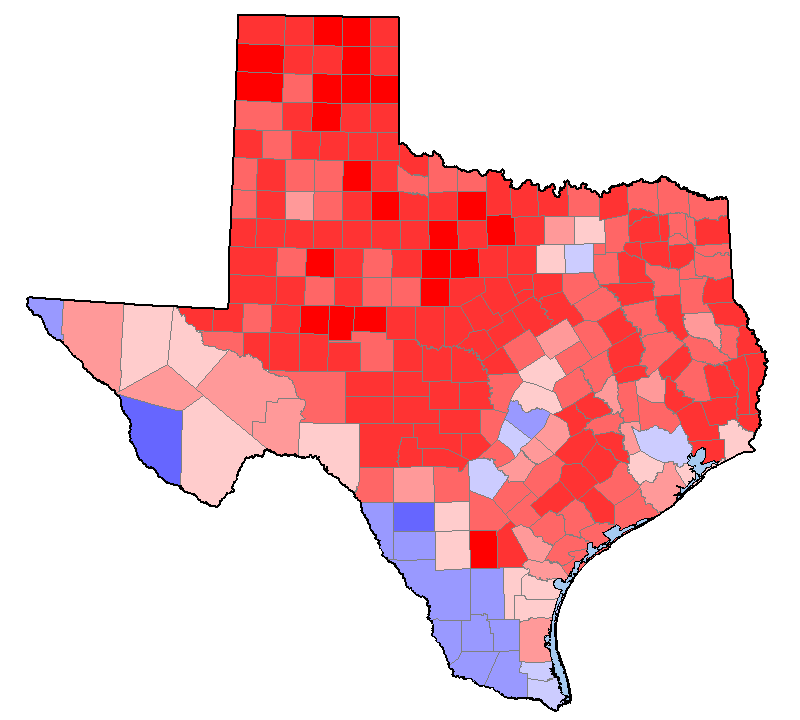 The map and table below show the margin of the vote between the Republican (Abbott) and the Democrat (Valdez) in each county.